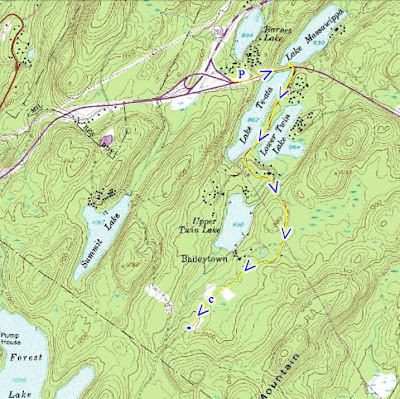 The northernmost area of Harriman State Park around Route 6 has fewer trails then the rest of the park. 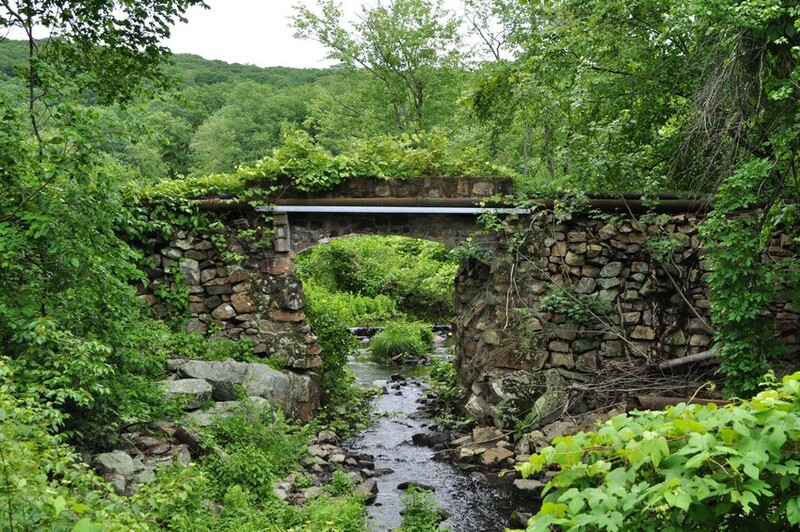 I wanted to check the area of Baileytown, which is an old abandoned settlement that was swallowed up by the park. 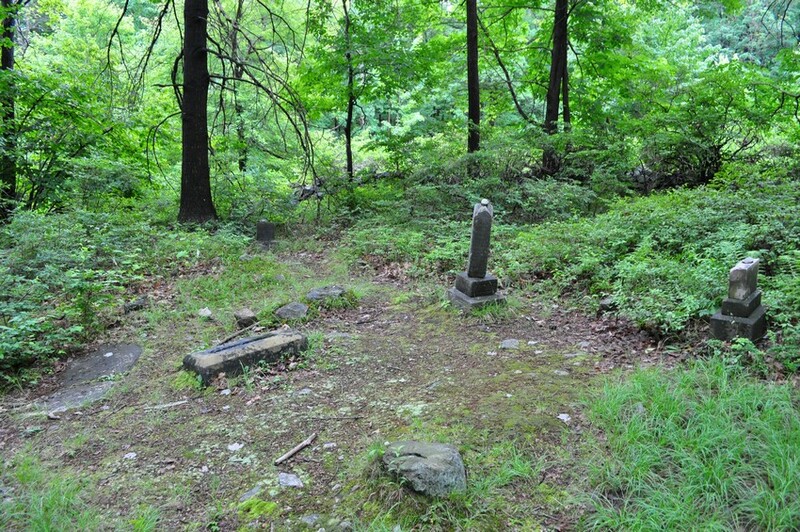 All that remains of Baileytown is the cemetery and a few foundations. I was disappointed to find the road paved much of the way and the area is just full of State-run summer camps. I went the week before these camps started, so its not a good idea to go here during July or August. It was a good day for this type of hike since the the weather was gloomy. 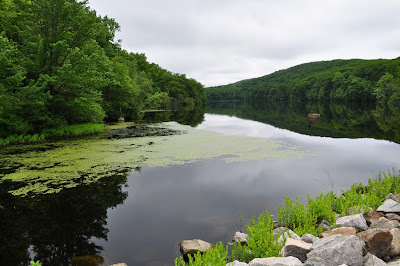 I started in the Parking area along Route 6 near Route 293 (this parking area is meant for fishermen fishing in the many lakes around here) and walked along Route 6 across the dam, and skirted down it to Lake Massawippa for pictures. I then climbed up again and took the camp road all the way down until Baileytown Road, which is an old path, towards the cemetery , and then continued further looking for any additional signs of prior habitation. 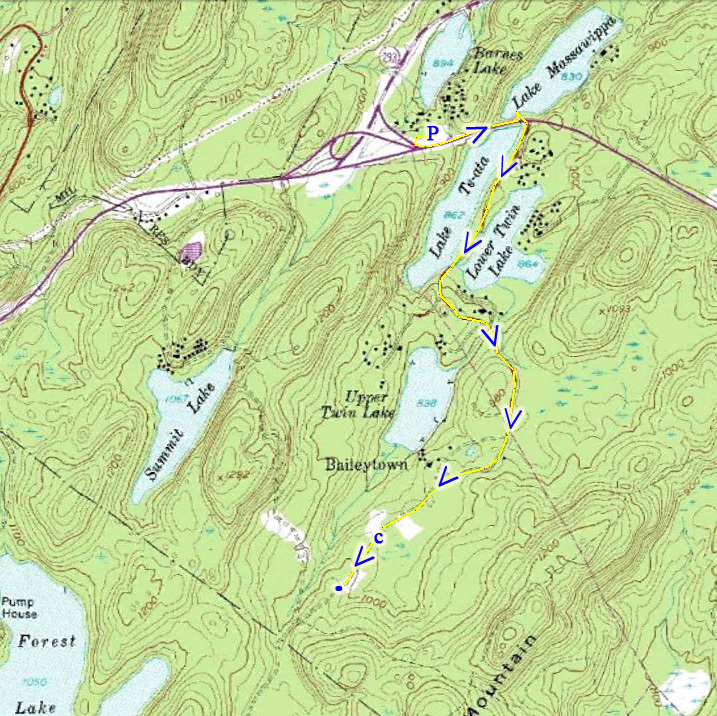 From there I turned around, and made a bushwack along the eastern part of Lower Twin Lake (not recommended!). I got caught in the thorns and in a swamp (I didn't include this bushwack part in the map above) and eventually made it to Route 6, which I followed back to the car. Lake Massawippa from Route 6 Bridge/Dam. 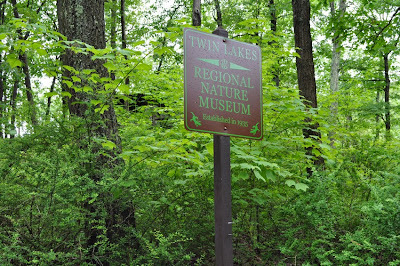 Sign for Twin Lakes Museum. and I took a peek inside and it is abandoned. Monuments in the Baileytown Cemetery. Lower Twin Lake, photo from Bushwack. Lake Te-Ata from Route 6, facing southwest. The old stone building is a nature museum for the benefit of the summer camps in the surrounding area. The museum (one of four or five in Harriman SP) had live animal and other outdoor educational exhibits. It has been closed since 2002 because of budget cuts. If I had realized it was you Hesh, I wouldn't have posted anonymously. 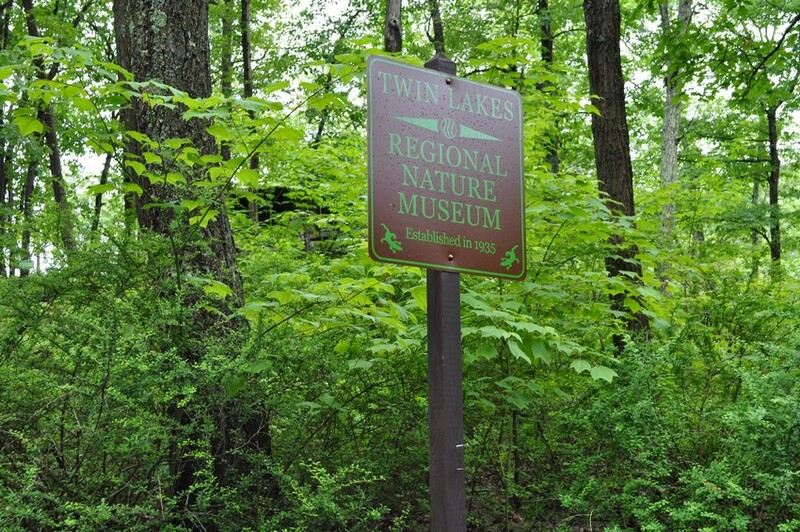 I know all about the Twin Lakes museum because I was the last person to have worked there in '01. I love it up there. At the right time of year the cemetery is a rattlesnake hangout. Thanks. It looked like a mess inside and not used for years, I guess that would explain it. 2002 makes sense since that sign is pretty in-tact and fresh, hence my confusion. 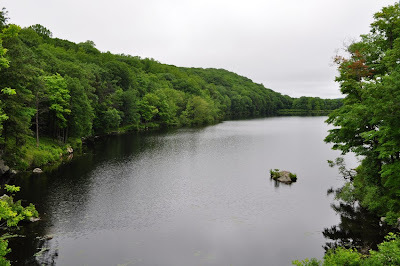 I recall back when I was a little kid we took a trip in camp to Lake Kanawauke and a ranger showed us a nature exhibit there in that stone home. He showed us some little turtles and other animals etc. That building is closed now too, I guess that was the same budget cut. Didn't see any rattlers there in the cemetery, but then again didn't know to look out for them. Don't know anything about the minerals. Kanawauke Museum is the largest of the nature museums and it's the only one to get any foot traffic (other than you). I would expect that one to be open even if the others were closed. You were probably there before it opened for the season. I haven't been there in a long time, so maybe they did close it. I would hope not though. Has anyone been to upper twin lake? 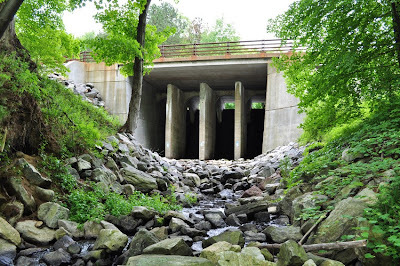 I lived in the area when I was a kid for 10 year's. Always enjoyed hanging out at the museum mentioned above. I just recently took a ride by the museum and the old cabin the workers used for shelter for the job/summer. I wish I still lived in the old house we had along 6. 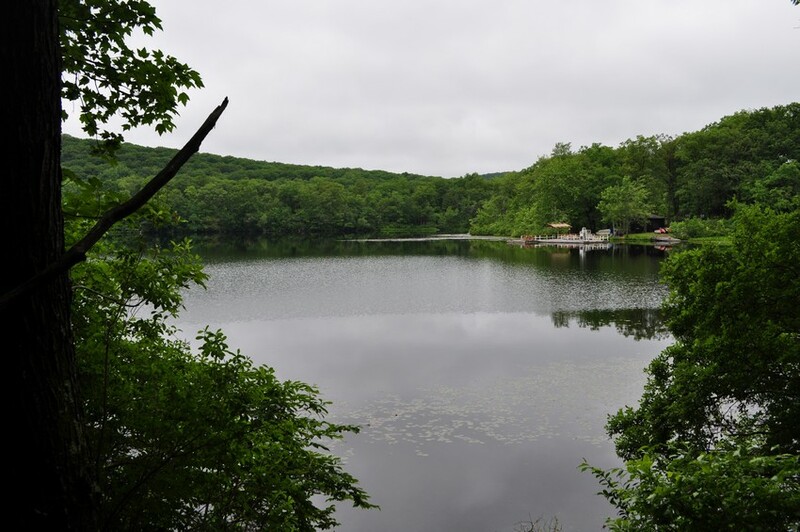 I am the Camp Director for YMCA Camp Discovery and the Kids LOVE this stone house! The Nature Museum has some great things for our camper to explore and learn all summer long.